A leader in the portable toilet rental industry for 20 years, our Lansing restroom and toilet rental company is committed to meeting your needs and expectations. Whether you need one or one hundred toilets, American Rentals has the experience to handle your requests. Our Ameri-Can portable toilets are clean and durable; and with our fleet of 10 radio dispatched vehicles your service will be prompt and professional. Delivery & Pick Up is included within our service area with a one week notice. Contact our sales department for quotes outside our regular service area. Operating the most modern equipment available in the industry, American Rentals' trained service technicians will maintain the cleanliness of your unit once per week. If your situation calls for service more than once per week then we will accommodate any requests. 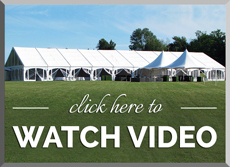 When your next event calls for a touch of elegance then look no further! 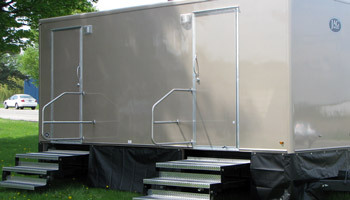 American Rentals' line of Royal Flush Mobile Restroom Facilities provide the highest level of luxury and comfort for discriminating guests. Available in lengths of 24' and 32' these facilities offer the following amenities: fresh water flushing china stool toilets, electrical exhaust vents, fluorescent lighting, heat and air conditioning, fresh water sinks with soap and paper dispensers, and an AM/FM stereo cassette player. Installation is simple; requiring only a garden hose and two 110 volt 30 amp lines. 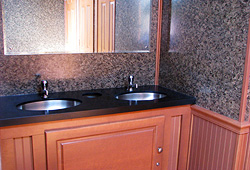 We are confident that your guests will be pleased with the comfort and convenience of the Royal Flush Mobile Restroom Facilities. Here is a listing of areas where Ameri-Can Portable Toilets can be found: Construction Sites Concert Events, Concert Events, Schools, Festivals, Backyard Parties, Disaster relief, Golf Courses, City Municipalities Festivals, Parks Backyard Parties, Sporting Venues and Disaster Relief.